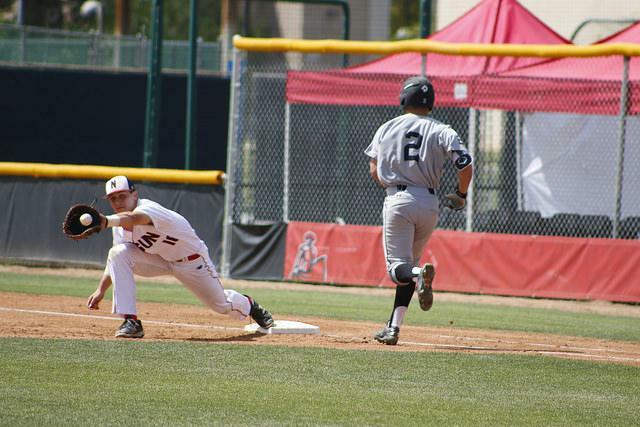 Senior infielder Branden Berry, 22, is among the top producers for the CSUN baseball team, but he’s more than just his stats. Born and raised in San Diego, Berry has been in love with the game since he first started playing tee-ball when he was five. 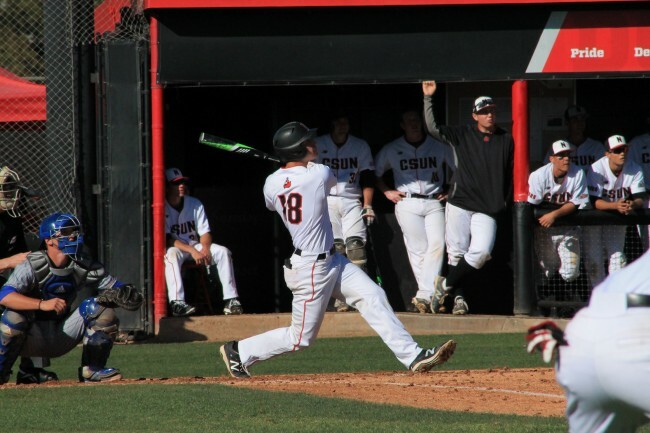 Now in his last year playing college baseball, Berry said he matured a lot throughout his college career and wants to make sure that he instills good work ethic on his younger teammates. A transfer from the University of Washington, Berry graduated with an undergraduate degree in communications with a minor in political science and diversity. 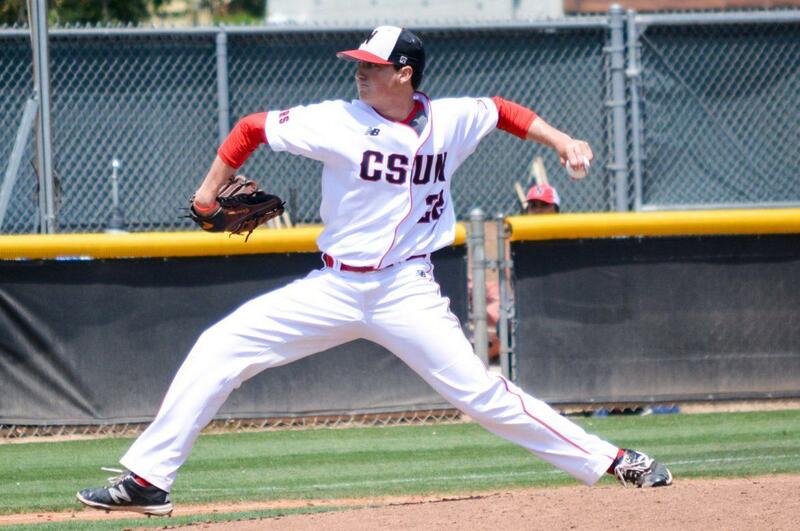 With one more year of athletic eligibility, Berry enrolled in the Recreation and Tourism Management graduate program at CSUN. As of April 18 leads the team with 28 RBIs and on base percentage with .465. He also is tied for first in home runs and doubles with six each. His .331 batting average is second highest on the team. Despite his hot start to the season, Berry doesn’t want to give his numbers much attention. Matadors’ head coach Greg Moore acknowledges the numbers Berry puts on the board, but he praises Berry’s consistency both on and off the field. 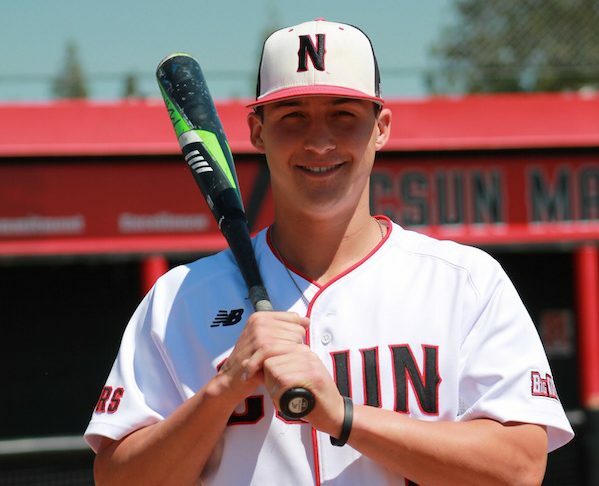 CSUN senior third baseman Will Colantono, who has known Berry since high school, is also trying to make sure the younger players succeed once he leaves, and he thinks Berry is exemplary. Colantono said Berry is the same guy when he goes zero-for-four that he is when he goes four-for-four. However Berry has also had to go through growing pains for him to be able to lead the team by example. Hailed as a leader, Berry prefers to credit those who have led him. Berry doesn’t know what the future holds for him but he hopes the Matadors can keep winning and prolong the season. Moore knows that with Berry, it’s possible. “I don’t think you ever underestimate someone who has an impressive mind,” Moore said.